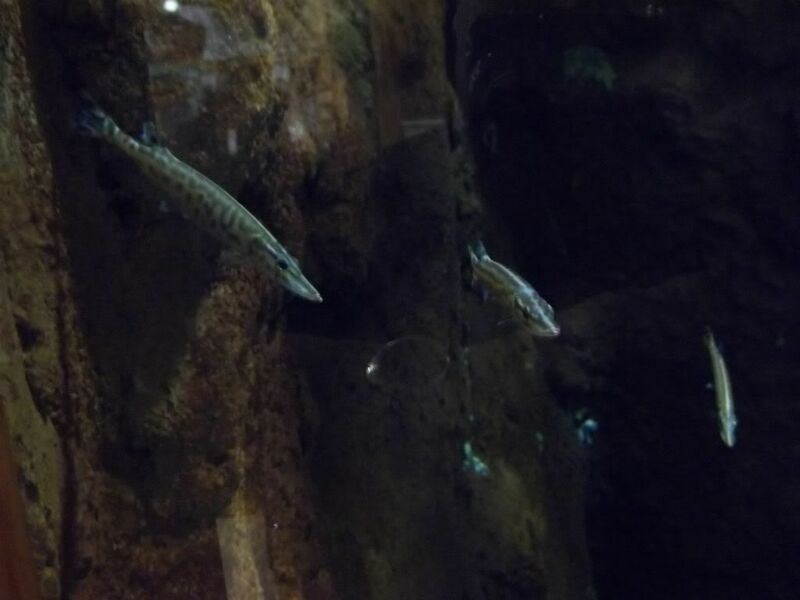 I was at the Hamburg Cabelas & they recently got a mess of these in their one display tank. Are they grass or chain pickerel fry? 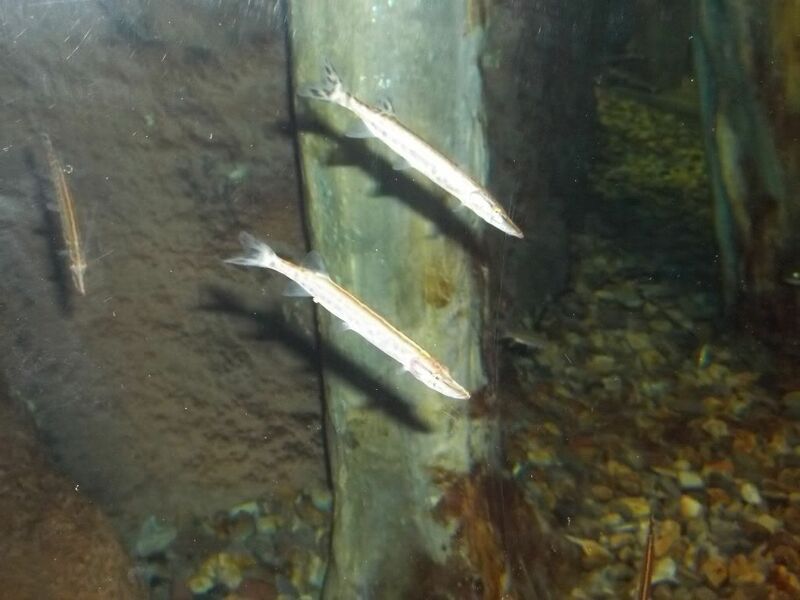 They look like juvenile muskies to me, and I've seen plenty of juvenile muskies. 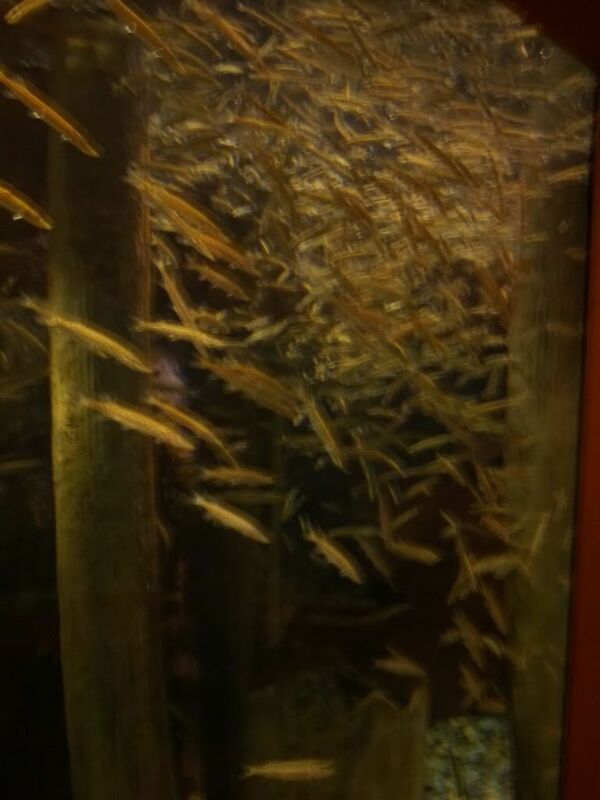 That is pretty cool...I wonder what they're doing with thousands of musky fingerlings in a display tank? Maybe that 'line' rule doesn't apply to muskies? I don't know. Edited by EricaWieser, 08 September 2011 - 08:00 AM. Tiger Muskie? 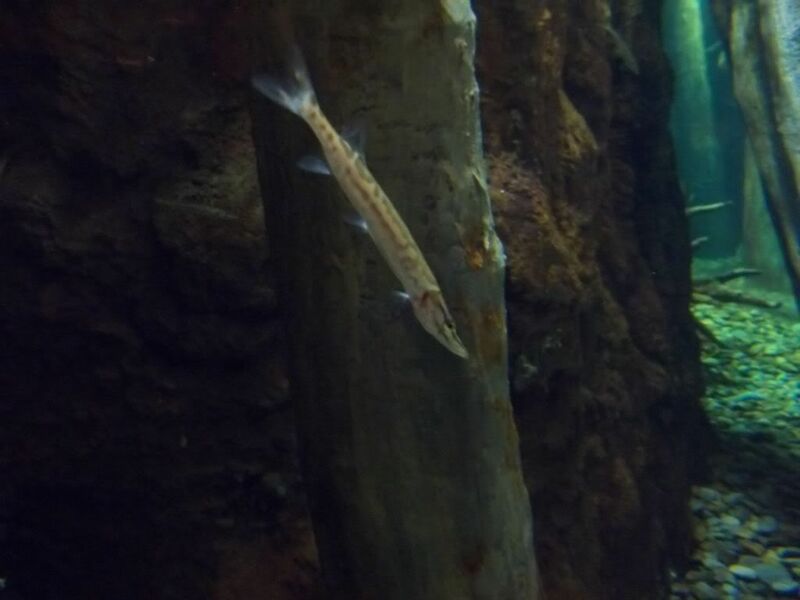 Northern pike x muskellunge. That seems to be the most common commercially produced Esox. The Pennsylvania Fish and Boat Commission raises and stocks a lot of musky, northerns and hybrids. The fish in the pictures seem of stocking size or slightly smaller. Look like hybrids to me (tiger musky)??? Edited by Gambusia, 07 October 2011 - 10:51 AM.